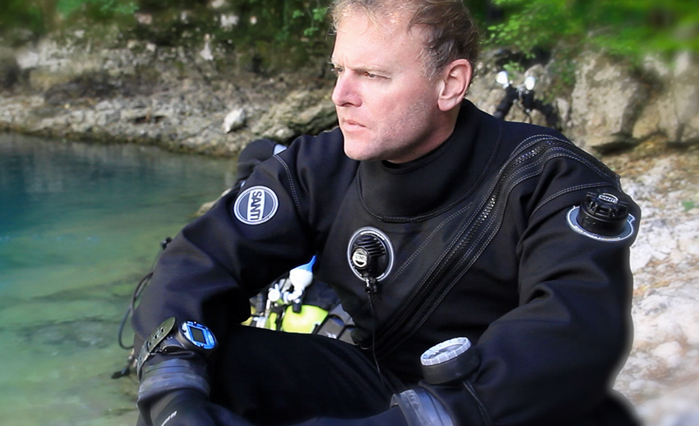 "I dive in the drysuits for a long time. In the last few years my requirements concerning the drysuit became more demanding due to the conditions and environment in which I dive." I pay the highest attention to the reliability of the equipment, because I dive in the remote areas on the wrecks or caves which are on the huge depths where I take the photos or make the movies. While diving in my Elite for few hundred dives I’ve never had even the slightest leak. It is so strong that it can cope with any environment while maintaining the flexibility and limitless movements that are so important in the course of a long and demanding dives.